Most of the Gettysburg wounded ended up being treated in makeshift medical facilities overwhelmed by the flood of injured. This book introduces readers to 160 of those frightful places called field hospitals. 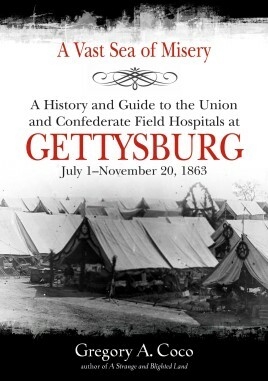 It is a sad journey you will never forget, and you won't feel quite the same about Gettysburg once you finish reading.